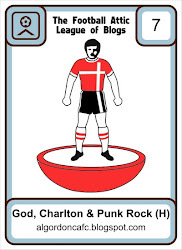 God, Charlton and Punk Rock: Come on you yellow's !!! Before a ball had been kicked at Boundary Park this afternoon, we knew Charlton's season was over. Before half time today Christian Dailly's was. Third red of the season, and that's a five match ban. From all accounts a moment of stupidity, which has prematurely ended not only his season, but possibly his Charlton career. 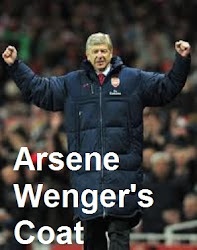 The ageing defender is out of contract this summer after good service to our club. It would be a shame if his last moments in a red shirt were walking to the dressing room with his head hung low. Once again a busy motorcycle shop in the sunshine ruins my Saturday. I was never going to get to Oldham, but there was a small chance of making it up the A217 to Gander Green Lane. 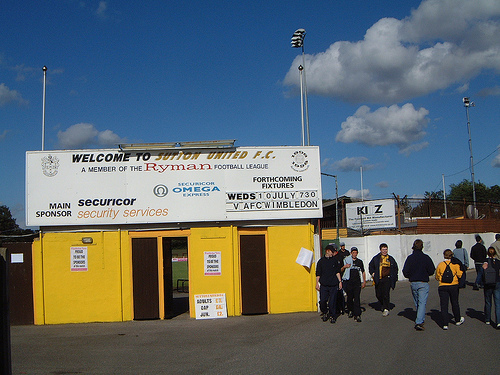 Home of Surrey's finest team in amber and chocolate colours, Sutton United. I've been down the lane more times than i care to remember and really fancied a top of the table clash today against Bury Town. But alas, the motorcycling public wanted my attentions to themselves. Why cant bikers enjoy football too, whats wrong with them all ??!!? As it turned out, a two one victory for the U's has put them within touching distance of the title and promotion from the Isthmian (Ryman) league back to the Blue Square South. I can only imagine what a great atmosphere it would have been inside the ground. Andy Forbes and Craig Dundas both finding the back of the net as they have done so many times this season, before Bury pulled one back through a penalty to make the final period of the game a touch more interesting. I've only made one appearance down the Lane this season. 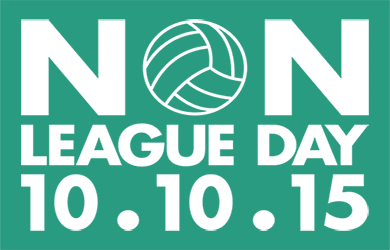 New years day and a local derby against Tooting and Mitcham. A game Sutton had in the bag yet still the visitors came away with a point. But over the years i've been fortunate enough to see a few classics. I only used to live a ten minute walk from Gander Green Lane. 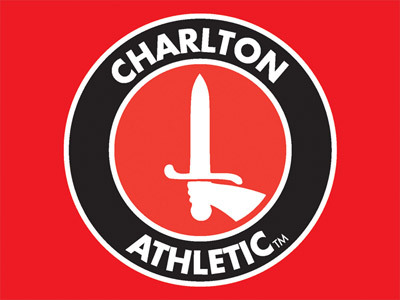 Charlton were playing their home games at Selhurst which was an easy bus ride for me. But my folks were never going to let me travel the country on my own, so away days meant a trip to see my local non league side. My first Sutton match was at Wembley! 1981 and an FA Trophy final against Bishop's Stortford. Sutton lost to a side that i believe had John Radford in it.My dad took me and i loved it. My first ever Wembley day out. After that i was lucky to enjoy the late 80's with Sutton. I got to watch players that went on to play professional football. Paul Rogers, Stuart Massey, Paul McKinnon. I had my own Sutton hero's, Lennie Dennis, Mickey Stephens, Mark Golley. I even took a school friend who became so hooked, he became youth team secretary! But it wasn't always Waltham and Hersham that we played. I was there for Coventry. Steve Ogrizovic, Brian Kilcline, David Speedie, Cyrille Regis and all. Even nearly got a hiding from disgruntled Coventry supporters on my way home. The last non-league club to beat a top flight side. Stuff of dreams. I even remember watching manager Barrie Williams and goalscorer Matthew Hanlan appear as guests on the Wogan show.I was also there at Carrow Road for the next round, an 8-0 thumping at the hands of Norwich! But it was the season prior to that, that i most fondly remember.Third round of the FA cup and Middlesbrough came down the lane. A well earned 1-1 draw meant a midweek trip to Ayresome Park. And that went to extra time! If my memory serves correctly, Nigel Golley hit the bar and could so nearly have won it. Sutton eventually lost to a single goal and set off on a well deserved lap of honour. The whole of the ground gave them a standing ovation and i remember being so proud that i was crying my eyes out. Not bad for a seventeen year old with a big attitude problem! That's why i struggle to get behind my now local side of Crawley. 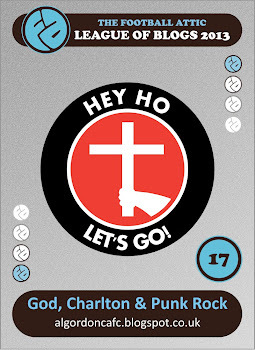 Never been to see them, only will if they play Charlton and I'll be out singing my neighbors! Unfortunately that could happen sooner rather than later. They got promoted to The Football League today. I was rooting for AFC Wimbledon if i'm honest. Can only have a place for one non -league side in my heart. Be lovely to see Sutton rise again. Come on you yellows !!!!!!!!! !